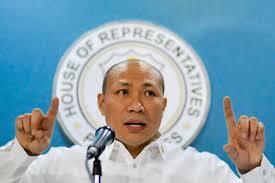 Magdalo party-list Representative Gary Alejano expressed his dismay over the aggression of China in the West Philippine Sea, he said that the the installation of Chinese missiles in the Spratlys thus shows the continuous aggression of China that threatens the Philippines' national security. Alejano even disclosed that China has installed anti-ship cruise missiles and surface-to-air missile systems on three reefs in the West Philippine Sea, as reported by the American news network CNBC. "The actions and continuous aggression of China in the West Philippine Sea are obviously threats to our national security," he added. Alejano further explained that "We must raise this matter in all possible forums as a grave concern not only to us, but to the whole region. The recent events also heighten the need to have a legally binding Code of Conduct as soon as possible."